Transgender athletes excel in many sports around the world. Activism of the LGBTQ community in changing sports regulations to accommodate transgender athletes, and efforts by the athletes themselves to be validated, have led to their acceptance in world competitions. The opposition to including transgender athletes is often based on arguments regarding the different testosterone levels in males and females. There has been particular concern that transgender women would continue to have male physical and biological attributes, which would give them an advantage in competing with cisgender athletes. Discussion and controversy on the issue begins at the high-school up to the professional athlete level, and includes the participation of coaches, referees, parents, governing bodies, doctors, and more. Sports authorities continue to work with the issue of including transgender athletes, and have been modifying their rules of participation. The International Olympic Committee allowed transgender athletes to participate beginning in 2004, subject to meeting some specific criteria. For example, to compete, a trans woman athlete is required only to declare her gender as ‘female’ and have testosterone levels comparable to or below those of cisgender women. Other athletic organizations have, or are in the process of, following this type of regulation. There continues to be extensive research required over the long-term to scientifically determine if transgender athletes have any particular competitive advantage in their sport. A recent scientific study concluded that as testosterone levels approach female norms, trans women experience a decrease in muscle mass, bone density, and other physical characteristics (see reference below). This is an argument that trans women can compete on an equal level to cisgender women because anatomy does not matter. 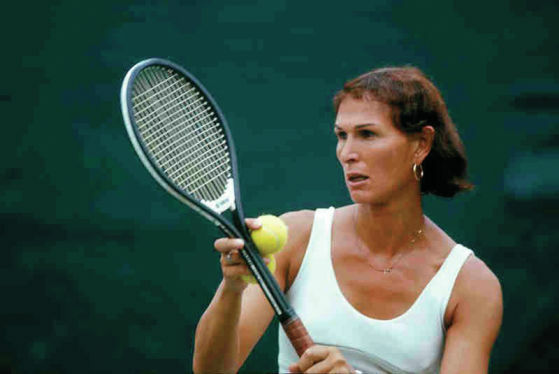 Notable individuals on this list include American tennis player Renée Richards, who fought for the right to play in the U.S. Open as a woman; Scottish cyclist Philippa York, who raced the Tour de France ten times before transitioning; Denmark’s Mianne Bagger, the first transgender PGA golfer; and German shot putter Andreas Krieger, who was the European Champion in the sport. Queerbio has identified many transgender athletes as prominent in their sport. They participate in judo, football/soccer, weightlifting, Muay Thai, tennis, ice hockey, cycling, boxing, triathlon, body building, track & field, skiing, motorcycle racing, basketball, mixed martial arts, and golf.